The traditional banking system was already bad enough but now, with banks around the world rushing to comply with the Foreign Account Tax Compliance Act (FATCA) it is beginning to reach extreme levels. And it isn't just affecting the most financially restricted people on Earth: US citizens... it is affecting everyone. Take myself, for example. I operate numerous businesses worldwide. I am a Canadian citizen as well as the citizen of a Caribbean country and our business operations are also operated out of a non-tax jurisdiction in the Caribbean. On top of that we hold no bank accounts, whatsoever, in the US... instead, we have bank accounts all over the world. We got FATCA'ED. We received a FATCA notice from one of our banks in Eastern Europe. They told us that we must comply and contact them immediately. We contacted them and let them know that the company is not a US company and no US citizen is involved with the company nor the bank account. They told us that one of the phone numbers they had on file for us was a US number and therefore they'd have to close our account. We informed them that the number they had was a virtual Skype number, one of many we have, that forwarded to the property departments in our companies around the world. We are still dealing with this issue. Constant Inquiries. At the same Eastern European bank a few weeks ago they demanded to see detailed contracts and information on a large number of our transactions. We are still also dealing with that. Wires Constantly Scrutinized. At one of our bank accounts in Canada with which I have had a 20 year relationship in good standing they have blocked numerous of our recent wires and demanded to see information on who the money is going to and why. In more than one instance, when sending funds to the Middle East, we were informed that any and all wires sent to the Middle East were under heavy scrutiny causing us numerous problems. The Paypal Monster. 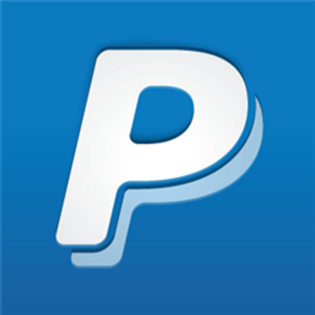 Paypal has frozen many of our numerous Paypal accounts that we have worldwide on an ongoing basis. This shouldn't come as news to any merchants who use Paypal as the company is notorious for constantly freezing funds and accounts for all manner of reasons. In one instance, as part of operations in our hotel in Acapulco (Las Torres Gemelas Private Suites) they froze our account until we could show them proof of numerous very small denomination transfers. The transactions were for room rentals that had occurred weeks or months prior and Paypal would demand that we show proof that the person had stayed with us and approved the transaction. Often these were past guests who had just booked for a few nights, who we had no other relation with, that we would have to somehow try to contact afterwards and bother them to supply Paypal with their information and approval of the transaction! No Cuba For You. In another instance, just a few weeks ago, another Paypal account we had was frozen after we paid for a flight from Havana, Cuba (ironically I had just stopped there for one night because I wanted to avoid the pain and risk of flying through the US) via Paypal because it was nearly impossible to purchase a flight to or from Cuba by any other means. Because we denoted the payment done was for a flight from "Havana" the account was frozen. The total dollar amount was for just a few hundred dollars. No Brokerage For You. Last year, a brokerage account I use in Luxembourg threatened to close my account. When I asked why they said that the brokerage had recently been bought by a Canadian brokerage and there is a Canadian law that says that no Canadian can deal with a brokerage owned by a Canadian company outside of Canada. Luckily they accepted my Caribbean residency and therefore let the account remain open. US citizens are not so lucky. The SEC has made it so hardly any brokerage outside of the US will accept US citizens effectively locking their accounts inside the US as a capital control. And, we are most definitely not alone. At TDV Offshore we hear dozens of stories per week from people scrambling to find a way to have international bank accounts after their accounts have suddenly been shuttered. The great majority are US citizens who receive a notice that their accounts will be immediately closed due to FATCA. FATCA is essentially creating capital controls for US citizens on banking making it harder and harder to hold funds outside of the US. In short, it is getting more difficult all the time to transact in the traditional banking system. And it seems to just get worse by the month. There appears to be a worldwide effort underway to make it harder and harder just to transact financially. Luckily there is still options for getting around many of these issues but it isn't cheap or easy... and not about to get any easier. Passports. For Americans the only way to really be able to internationalize your assets and get out from the unbelievably egregious US tax system is to get a foreign passport and then to renounce your US citizenship. This may seem extreme to some but it seems like the most rational thing to do to us. We foresee the US continuing to devolve, further capital controls to be erected and the US not being a place anyone will want to go for an extended period of time as it completely collapses... so why not get yourself and your capital out while you can? The US government, as we have reported, has even gone to lengths to make it harder for US citizens to get foreign passports... which should be a big hint as to their intentions. Just this month they have attacked probably the most arduous, respectable and legitimate "citizenship by investment" program in St. Kitts. And the US government has pressured the Dominican Republic to increase the time to get a passport from an original two years to now eight years. We foresee this continuing and by the time many do see the writing on the wall and want to get a second passport to get away from the US it will be too late. The demand will be too overwhelming and the supply will continue to dwindle which will drive the cost through the roof... if it is even possible at all. You can contact TDV Passports for a consultation on what your current options are. Foreign Trusts. Another option that is still available but may not be for much longer is to transfer your assets into an offshore trust thereby getting around FATCA rules and giving US citizens the ability to bank, have brokerage accounts and to do business internationally. This is not easy or simple and our FATCA experts at TDV Wealth Management have a fulltime job trying to help US citizens to internationalize their assets. Citizens of other countries may feel that they do not need to do something like this as their country does not currently have FATCA controls nor taxes them on worldwide income. We expect this door to be closed very quickly as the Western countries all devolve into the Greater Depression and as tax revenue for their governments decline. Bullion. One of the best ways to retain your assets is to have them in hard assets like precious metals outside of the financial system and preferably geopolitically diversified to make it harder for any one government to seize. This, also, is getting harder and harder but is still possible even though it is now nearly impossible for Americans to ship gold outside of the country and have it insured as we know of no companies that will now do that for US citizens. There are many ways to international precious metals though and you can read more in the Getting Your Gold Out Of Dodge report. As well, precious metals should rise tremendously as the modern banking and financial systems collapse during The End Of The Monetary System As We Know It (TEOTMSAWKI). Bitcoin. Bitcoin offers not only a safehaven from the financial system and ability to transact worldwide in seconds for free and with no chance of any government or bank freezing the transfer... but it also offers tremendous speculative upside. I believe that as more people awaken to the serious capital controls and inability to transact internationally easily that more will move to bitcoin as a way to hold their assets as well as to transfer them easily. This alone could see bitcoin go up 1,000% in the next 1-2 years in my opinion, if not more. In fact, bitcoin has surpassed Western Union and is now close to surpassing Paypal in terms of transaction volume which is no surprise to us here at The Dollar Vigilante (where we have been following bitcoin since $7 in 2011 at The Dollar Vigilante newsletter) as it is a much easier, better, faster, safer, more private and cheaper way to transact. The perfect storm is developing and it is all going as we have predicted over the last five years. The Western world will continue to inflate their currencies to keep the system alive as almost all governments are bankrupt. Governments will continue to make it harder to get your assets outside of the country. There will be further grabs on all manner of assets including retirement and pension funds and more bank bail-ins, like in Cyprus, as government bonds collapse and the currencies hyperinflate. Luckily, as mentioned above, there are still options but the doors are closing at such a rapid pace now that if you haven't begun to protect yourself from the coming collapse you had better start doing it yesterday. This article provided courtesy of The Dollar Vigilante.